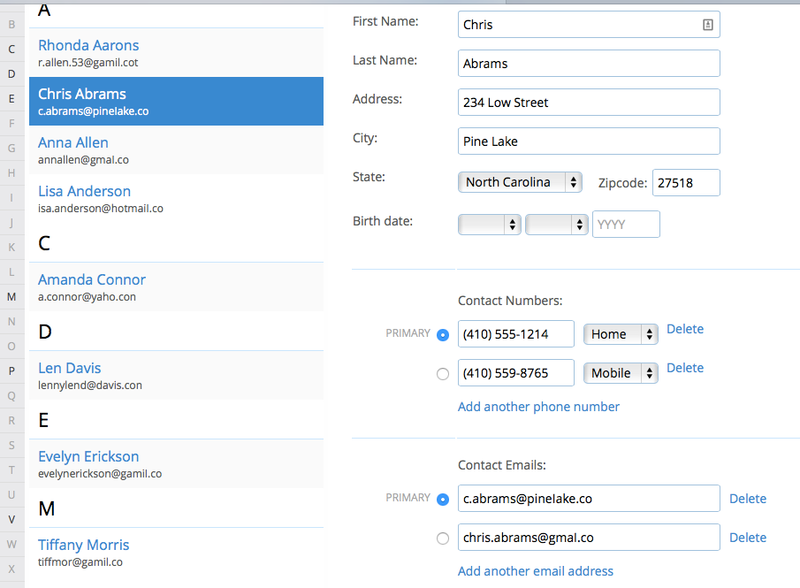 Learn how to merge duplicate profiles or records in your Customers tab. 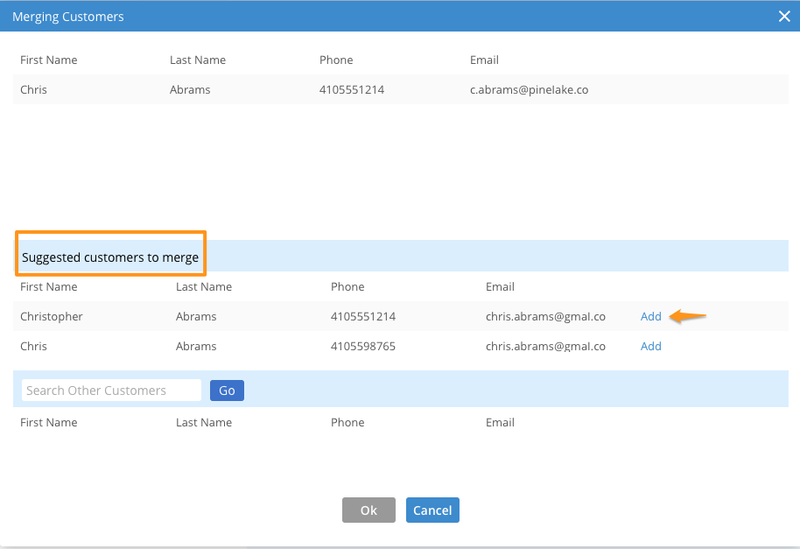 Genbook's Customer Merge feature lets you quickly and easily combine multiple entries for the same customer into a single entry containing that customer's full appointment history and contact info. 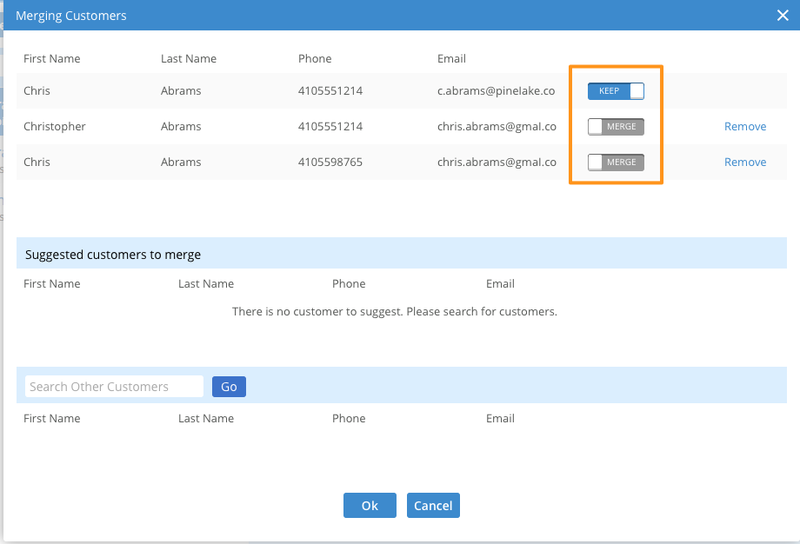 In your Customers tab, find one of the duplicate entries and click on the customer's name. On that customer's Summary page, click the "Merge" button on the right. On the next screen, you'll see the name of the customer you selected at the top of the page, and then a list of suggested entries you might merge with that first one (based on customer name and/or contact info). Click "Add" beside any listing that needs to be merged with that top entry. If you don't see the customer you're looking for, you can use the Search bar to find them. Click on the toggle "Keep"/"Merge" button to select which of the entries will be the primary one. Note that you can only "Keep" one of the entries, so any others in the list will automatically be set to "Merge". Click the "Ok" at the bottom of the page when you've finished the merge. Then, confirm the merge by clicking "Yes" in the dialog box that appears. Check your Customers tab for the results of your merge. All of that merged customer's appointments should be under the single remaining entry, as should their contact info. You can always edit the details (e.g. remove a phone number if it's no longer valid, add a new email address, or choose a different primary email, etc.). TIP: If you need to merge profiles of customers who have payments or credit card details associated with any of their appointments, please contact our Customer Care team at support@genbook.com.